Like many (most?) in the technology field, Raxco Software has a long history of working closely with other companies that we also compete with in some manner. As a 35-year old company, there have been countless such instances, some more notable than others, with HP and the HP 3PAR storage line being one of the more recent. Let’s start with the ’80s. 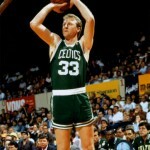 While I was listening to ’80s music and cheering on Larry Bird and “my” Boston Celtics, Raxco grew to be the world’s largest provider of system, storage and performance management software for OpenVMS (let’s call OpenVMS the Windows OS of the ’80s). Over 90% of the Fortune 500 companies were running Raxco products on their OpenVMS systems. We had a close relationship with Digital Equipment Corporation (let’s call DEC the Microsoft of the ’80s, although it made the bulk of its money on hardware). We helped the DEC equipment run faster and more efficiently. They could also squeeze more life out of the equipment, delaying hardware upgrades. DEC accepted us, but they didn’t love Raxco; and they didn’t hate Raxco either. We existed together, acknowledging that we helped each other. After all, without DEC equipment, who would we help? Of course, since we helped DEC equipment run better, sometimes as an alternative to purchasing more DEC equipment, it could be argued that we were the enemy to DEC. But it never felt that way — we made the OpenVMS experience a better one. And a better experience will often lead to more of that experience — in this case, more OpenVMS. Fast forward to the late ’90s and into the start of this century. There we were, partnering with Microsoft, but also competing with it. We grew quickly because Microsoft created NTFS, which caused fragmentation to be created pretty much by design, leading Windows to perform poorly, leading small companies, large enterprises and millions of home consumers to purchase PerfectDisk to help the performance of their PCs and servers, and eventually virtual systems. As a Microsoft partner, we never filled in a box from a Redmond form asking how many copies of Windows would we help sell for Microsoft. But again, we made running Windows a better experience. Hey, we know lots of people have moved and continue to move off Windows — maybe we prevented or delayed many others. Maybe we should have filled in that box. In any event, we have always had a great relationship with Microsoft, regularly exchanging technical information and visiting Redmond every year. 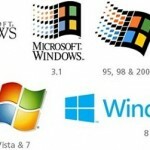 Microsoft even approached us about a development project for one of its Windows versions. Which brings me to this decade and 2012/2013. We’ve collaborated with HP on many programs over the years. A few years ago, when HP was excited about Windows Home Server (remember that?! ), they came to us and asked if they could offer PerfectDisk Home Server to is Windows Home Server customers. We were happy to oblige — good for them, good for us. Partners and friends, helping each other. And then came last year. As part of HP’s storage management for their client, a $22 billion services company, HP and the services company came to us for help. The company had deployed numerous HP 3PAR storage solutions to help its voluminous data and storage. All good. The company had implemented thin provisioning with the 3PAR equipment. But space reclamation in a thin-provisioned environment can be problematic, and if you’ve been reading this blog, you know why — its inefficient, cumbersome, resource- and labor-intensive — and that’s just the tip of the iceberg. So they were doing a poor job of reclaiming space in the company’s thin-provisioned environment. Together, HP and the services company came to Raxco for help. HP purchased software from us to help automate space reclamation from their thin-provisioned drives. The results? 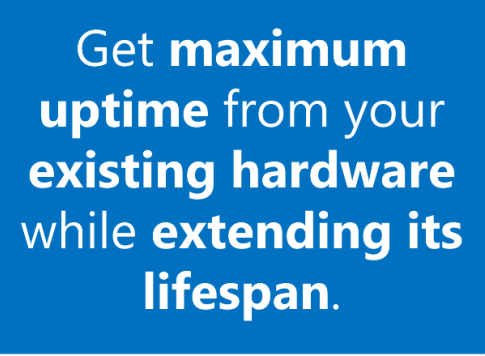 Services company: Happy with better-managed storage, reduced costs, and yes…delayed purchase of additional HP 3PAR hardware. HP: Happy with a more satisfied customer whose storage it was managing. Raxco: Happy with a new, satisfied customer with a problem solved, and the genesis of a new product — PerfectStorage. Now, as with the old Digital Equipment Corporation, it could be argued that since we are helping organizations better manage their HP 3PAR storage and even delay additional purchases, HP might not be happy with Raxco Software and PerfectStorage. We don’t see that as the case, which is why we will continue to work closely with HP offices and representatives around the world to help HP deliver the best value to its customers. Sure, there will be instances where a company might delay a hardware purchase from HP because of PerfectStorage. Is that bad for HP? I don’t think so. First, in the case of an HP services arm that wants to deliver the best overall solutions to a customer, HP will be seen as an honest broker that can be trusted — and trusted to buy other solutions from the HP portfolio. 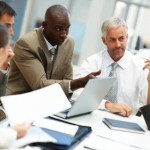 A better HP/customer relationship/partnership is bound to lead to more business for HP. There is probably even an ROI formula that allows a customer to buy other HP products because the customer can better leverage the storage it has. PerfectStorage has been through a very successful beta test, with extremely positive feedback. In anticipation of the upcoming launch, we have been talking to many organizations facing the challenges of efficiently reclaiming space in their thin-provisioned environments. And they are liking what they are seeing and hearing. And that makes all of us at Raxco even more excited than ever about PerfectStorage. We’re excited about PerfectStorage for many reasons. In the case of HP 3PAR, we’re excited to be able to offer 3PAR customers a storage management solution they have apparently been waiting for. And we’re excited to further our longstanding partnership with HP. 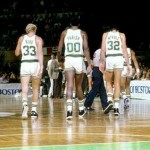 Larry Bird alongside Robert Parish and Kevin McHale — the Big 3 — formed championship teams back in the ’80s at the same time Raxco teamed with Digital to form a winning system and performance management team. We then formed a winning combination with Microsoft in the ’90s and ’00s. Through return on innovation for customers, all these partnerships led to stronger solutions, better management of technology, and much better return on investment for users. Wins for all involved; hardware vendors, software vendors and — most importantly — customers. We look forward to continuing to work with HP, together with their customers, to help bring innovation and improved ROI to end users around the world. You can request more information on PerfectStorage, and I welcome your comments as well. 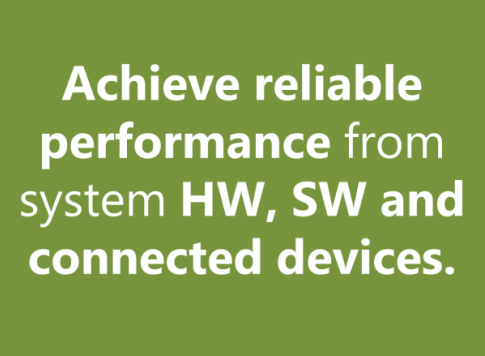 PerfectStorage — together with HP 3PAR, a perfect combination for improved storage management.